There are lots of events that take place on Onley Grounds Farm. On most weekends we have Equestrian competitions, which are great to watch over whilst having lunch or refreshments in our Chukka Bar cafe. 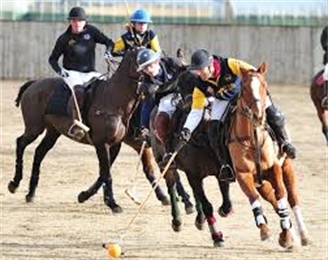 Events include polo, polocrosse, horseball, showjumping and dressage and many more. We host a number of shows and events from shire horse shows to miniature pony competitions, including the shetland pony grand national event, dog shows and even the military fitness mini mud run! All are great to watch and please remember, even if you have nothing to do with horses.... EVERYBODY is welcome!! A big date in the farm shop calendar is our open days when we have lots of stands, animals including dog shows and Toft Alpacas. There are loads things for the kids to do including bouncy castles, facepainting and pony rides. The dog show and plenty of displays will appeal to the whole family. Keep an eye out on our calendar of events for a great day out. To be added to our mailing list please fill in the relevant details on our home page of this website and we will keep you up to date with all that is going on at Onley Grounds Farm.